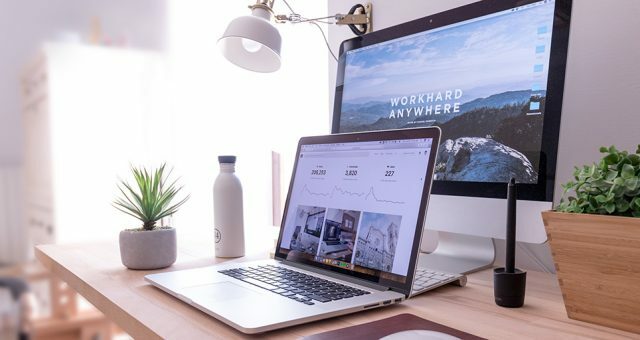 In fact, according to a report published by the Project Management Institute (PMI), 71 percent of projects surrounding innovative technology development have become priorities. Further research from PMI has also shown that $1 million is wasted every 20 seconds by organizations around the world due to poor implementation, rather than flawed strategy. Unfortunately, many company leaders do not recognize that solid project management practices help deliver on strategy. And the right project management methodology and process is key. By focusing on clear project or business goals and outcomes, and developing a clear definition of success across project teams in the organization is not only important for project delivery and meeting goals, but also creating alignment and reducing overall waste, and overhead costs. In order to improve efficiency and deliver projects successfully—on scope, on time, and within budget—companies should invest in having the right project management methodology and process in place. However, the right project management methodology is not necessarily the best fit for every team, organization, and industry. Every project is unique in its own way; therefore, project managers should consider the types of projects they manage and determine the best workflow that will fit those projects—not the other way around. 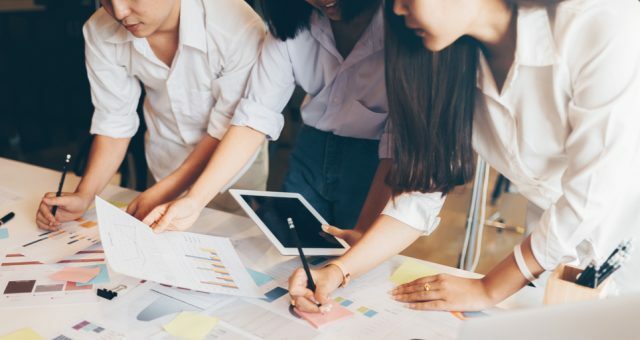 More project managers and teams recognize that they need to adapt their current processes and resources to the ever-changing digital landscape. Many project managers attempt to get ahead of this curve by adapting new methodologies. But methodologies aren’t everything. In fact, many teams struggle with finding the right methodology that works for their projects. 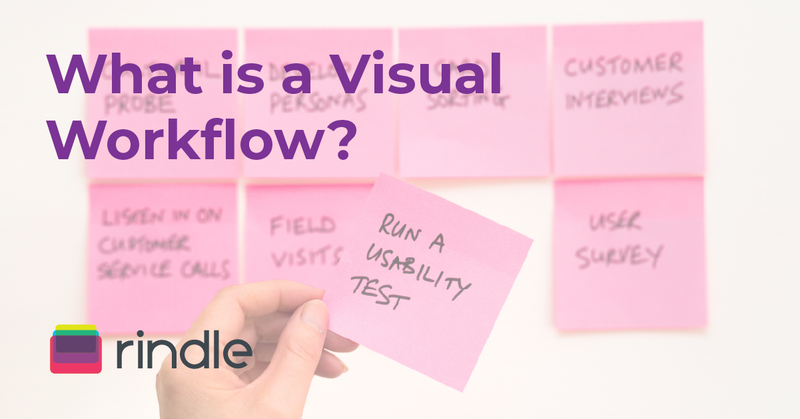 As a result, many have adopted visual workflows. A visual workflow is a project management technique that can be easily adapted by any organization and implemented in any project. One of the most essential characteristics of a visual workflow is just that: it’s visual. It provides a top-level view of all the steps involved in a particular task or process. Building a visual workflow foundation only takes several days up to several weeks to implement, rather than weeks or even months like some other methodologies. By taking the time to implement a visual workflow, you are laying a solid foundation for improved communication, information exchange, resource allocation, problem solving, short and long-term planning and increased productivity. 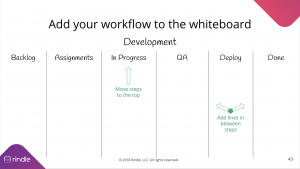 So, how do you know if you and your team could benefit from workflow? You can’t get your team organized. 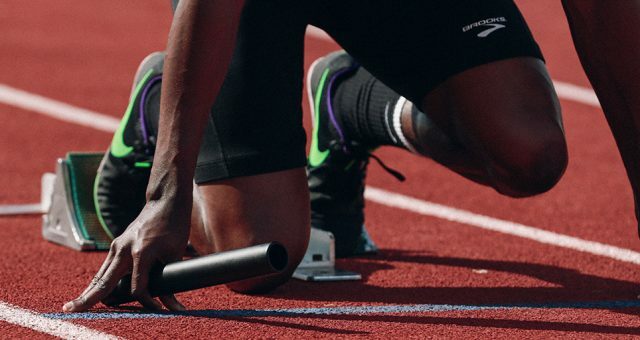 If it seems like team members don’t know what’s going on, or always seem to be scrambling, or if trying to get answers from them is like pulling teeth, then this is a sure-fire sign that your current process or methodology is not working. 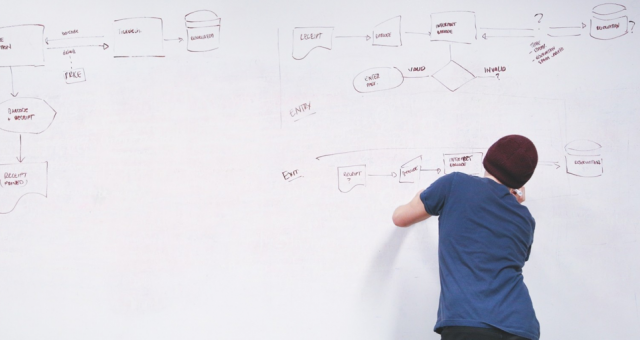 A visual workflow just might be what you and your team need to get on the same page. You are looking for a simple process. As mentioned above, you may have tried every project management methodology under the sun to help keep teams organized and projects on track. If you are looking for a simple process—simple to adopt, implement, and learn—then a visual workflow just might be the solution. You want to easily check project status. 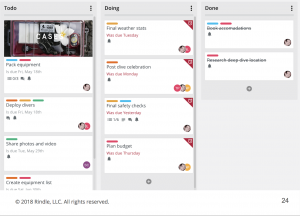 As a project manager, if you are spending too much time chasing team members or resources for answers on task status, then a visual workflow might be a great way to get the team together to talk about project status openly, and get a feel for overall project status. You need a solid foundation to build on. Visual workflows are a great way to build a solid foundation, especially when recruiting new team members or resources. Introducing your new team members to a visual workflow will help you build a solid project management foundation from the start. You want to get more sh*t done (and in less time…). Productivity is one of the hardest things for project managers to manage. Unfortunately, you can’t increase your team’s productivity with the click of a button. But you can engage them with visual workflows. What Do You Need to Build a Visual Workflow? Once you have the items you need, and 30 minutes of your time, now you can begin building a visual workflow on your whiteboard. With your markers, simply write down any and all outstanding tasks that need to get done on sticky notes. Be sure to write one task per sticky note. Then, on your whiteboard, make columns for “TO DO”, “DOING”, and “DONE”. Now, place each sticky note in its appropriate column. Not only does this provide the project manager a clear view of project and/ or task status, it also spearheads conversations around tasks that face roadblocks or require in-depth discussions or problem solving. Finally, it’s important to remember that building a visual workflow is the start of a foundation. Project managers may evolve the process and improve it as they go. One of the benefits of a visual workflow is its level of agility and adaptability to various projects, teams, and tasks. Love the idea of a visual workflow? We’re here to help! Sign up for a 21-day free trial of Rindle today and implement a visual workflow as soon as tomorrow.